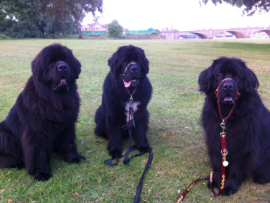 These are my 3 Newfoundlands (l-r Oscar 4 yrs old, Benson 18 months old and Gracie 4 yrs old). We've had a giant in the house for more than 20 years ! Just like to say how delighted and very impressed we are with our Dogmatic. Our current dog is a Giant Schnauzer (in fact we've had a giant in the house for more than 20 years - different ones of course!). It has to be said they're not the easiest dogs to control on a lead, they have the pulling power of a Husky and the exuberance of a Dalmatian. Over the years we've tried almost every headcollar that's come to market, all had their problems and some should never have got past the drawing board stage, so we have to confess that our expectations for the Dogmatic were not high. However, when we first took her out with it we were absolutely astounded, thought she must be feeling a bit under the weather as she was so good! But not so! Subsequent lead walks have been a revelation, so easy to control without any effort at all. Furthermore, it doesn't irritate, it's easy to put on and the quality of workmanship is first class. Truly, every dog owner should have one, it's light years ahead of anything else. 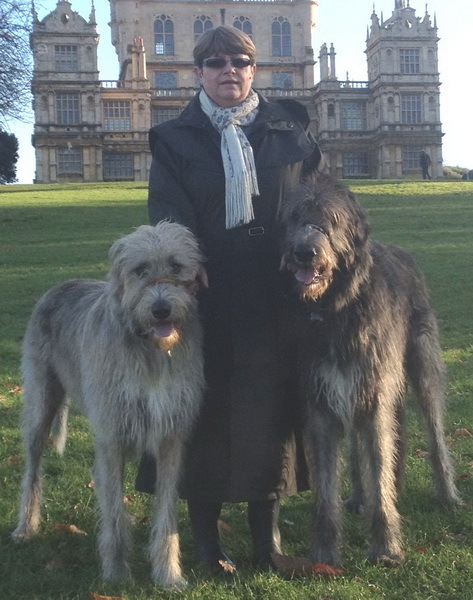 Even the UK’s tallest dog can be easily walked with a Dogmatic Headcollar! 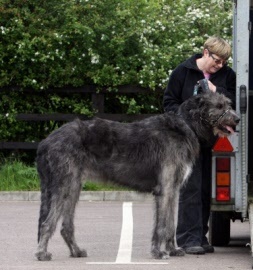 UK's tallest dog at 38" high. 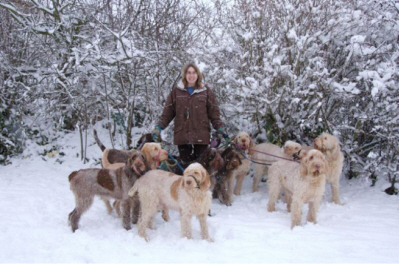 They have size 6 Headcollars and we are very happy with the result of using these.